Buzz: Spring Main Line Restaurant Week Returns! The Gables at Chadds Ford is showcasing an excellent 2-course lunch menu for only $15 during Spring Main Line Restaurant Week! The highly anticipated Spring Main Line Restaurant Week, Philly’s largest suburban dining event, returns Monday, April 23rd through Sunday, April 29th. Participating restaurants across the Main Line and Philadelphia’s western suburbs will offer special, prix-fixe lunch and dinner menus showcasing their chefs’ greatest dishes. And, our wonderful online reservation partner OpenTable is back. Check out our list of participating OpenTable restaurants…14 and growing! Lunch is New This Spring! New this Spring—several of our restaurants are rocking lunch specials for an amazing $25 and under! Due to the valuable feedback each season from the thousands of foodies who dine out during Main Line Restaurant Week, along with requests from our successful restaurants, we are rolling out incredible lunch values this Spring. All the restaurants listed below are offering lunch for $25 and under! And, keep checking back on MainLineRestaurantWeek.com for additional lunch participants. Many of our restaurants already have limited availability so be sure to make your reservations this week for Spring Main Line Restaurant Week 2012. 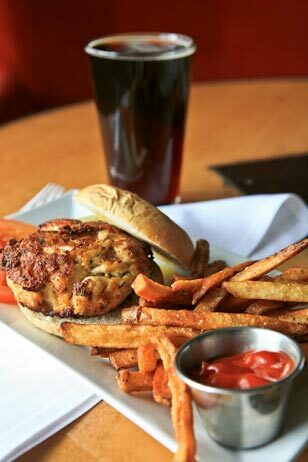 Click here to make your lunch and dinner reservations for Main Line Restaurant Week! Dig In and Win: Email Us Your Dining Photos! Dig In and Win-take photos of your experience at a Main Line Restaurant Week participant and you can win $50 and $100 gift cards! 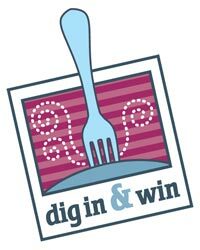 Dig In and Win is your chance to share your dining experiences with local foodies and earn a chance to win a gift certificate to one of our fantastic participating restaurants as your reward! Just dine out starting NOW at a Main Line Restaurant Week participating restaurant, take a pix of your meal, and email us directly the image at dine@aroundmainline.com between now and Monday, April 30th. Gift certificates will be awarded to the best entries.